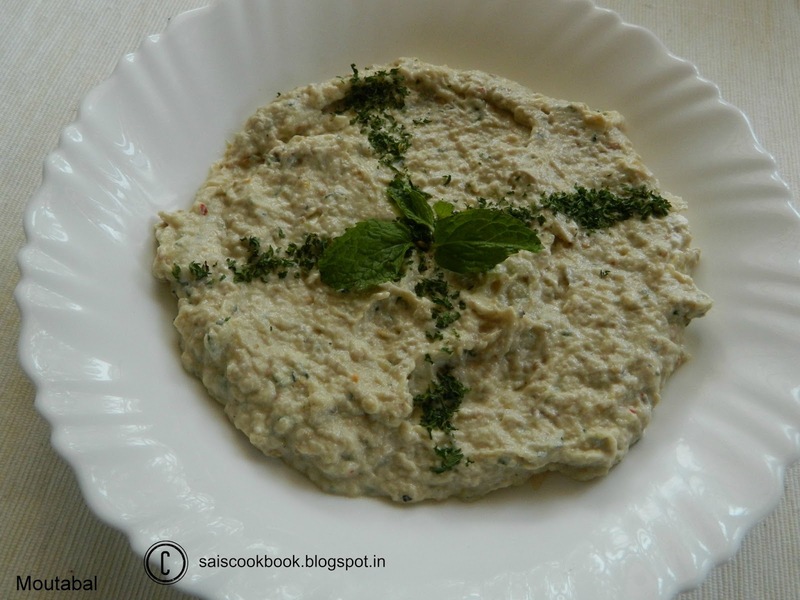 I first tasted this dip during my UAE trip last month at my cousins place.This is a Lebanese dip and a very famous Mediterranean dish.I have also tasted Baba ganoush and don’t know exactly the difference between the two.Some say it is same and some not.I have also read in the net that Moutabal is the spicier version over Baba ganoush.Only difference between the two is ,yogurt is added in Moutabal and in Baba ganosuh pomegranate perils or tomatoes are added.The main star of this dish is purple brinjal or aubergine.I borrowed this recipe from my cousin Gayatri shenoy…My daughter S loved this dip very much.The main flavour in this dish is the smoky taste which enhances the flavour.Not to forget to mention this reminds me of roasted gulla bhajji also. Roast the brinjal over the gas flame until it gets cooked and charred. Peel the skin,discard it and mash the flesh well. Add all the ingredients together and run it for a second in the mixer to get a smooth dip. 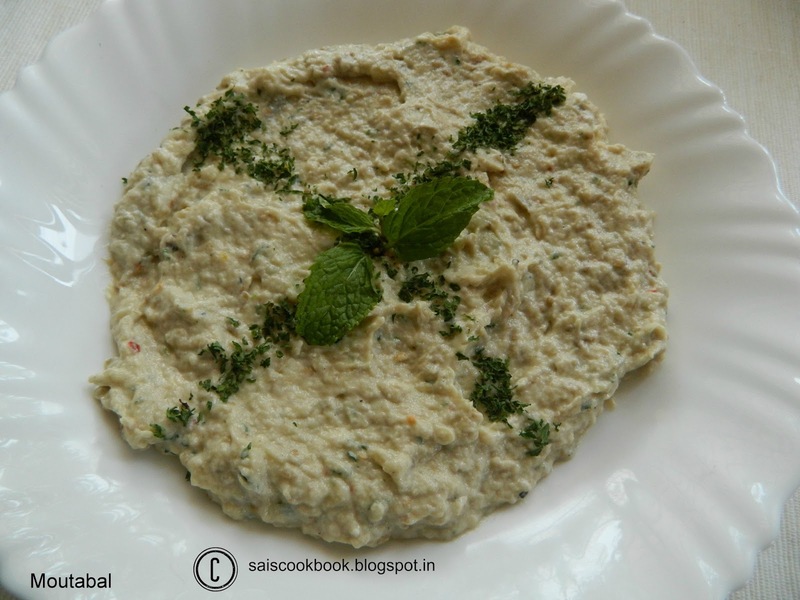 Serve it as dip with pita bread or nachos. Tahini paste is a paste made out of white til. 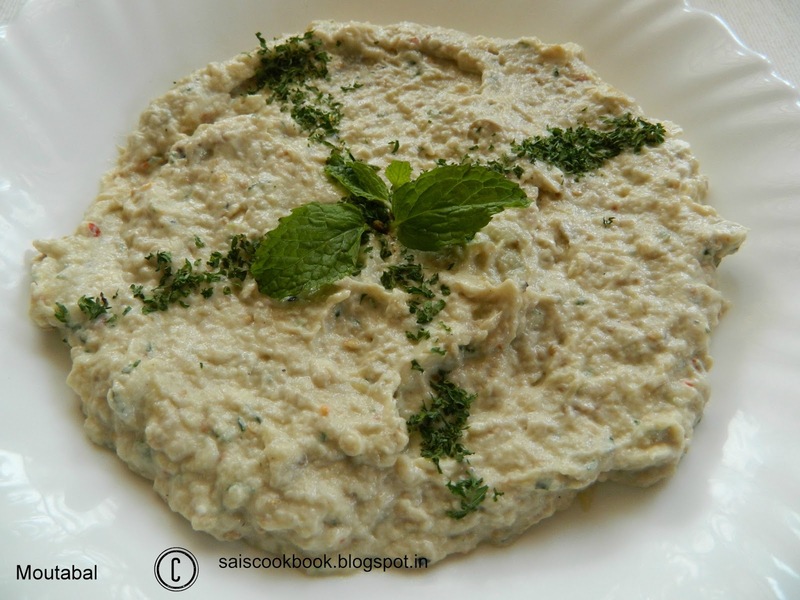 You may also prepare it at home by toasting it for few minutes and blending to a smooth paste with olive oil. You may also roast the brinjal in the oven by baking it for 30 minutes or until done.